We just completed our first week as a family of four! This might be a little late, but as stated above, we are now a family of four and time management has not been perfected yet. It has been an amazing, crazy two weeks being here adapting to Ethiopia and having two toddlers running around. We thank you all for your prayers as travel here went wonderful. Evans did a great job flying and it took him about four days to adjust to sleeping through the night. We arrived Saturday night and attended an International Church on Sunday morning before heading to meet our daughter, Yodit. It was such a surreal moment waiting for them to carry her out to us. She held on to me so tight and we instantly became a family of four. It was like she had always been apart of our family! Evans wanted her to play with him immediately. Our reaction while meeting Yodit for the 1st time! Sunday and Monday consisted of going to be with Yodit in the morning, leaving her for lunch, going back after lunch and then heading to our guest house in the evening. We are glad it was only two days of having to go to the transitional home to be with her. Tuesday morning, Jeremy, Evans and I got ready for court which was supposed to be uneventful. The court room was filled with other families adopting and one by one they would be called into the judges chamber to answer a few yes or no questions. We weren’t worried at all and even had another family with our agency going with us. As the other AWAA family came out of the chamber and we rejoiced with them it was our turn to go back. I look over at Jeremy who has a look of unbelief in his eyes and a bloody nose. The judge kept calling us back so all we could do was walk back and sit in his chamber while Jeremy grabbed the only thing in our bag to help catch his bloody nose, a Clorox wipe! This left me to answer all the questions for our family as Jeremy hid behind me because there was blood all over his face and hands. It honestly looked like he had butchered a small calf right before coming to court! Regardless, in about in two minutes, we were pronounced parents to Yodit! So, a court appointment that should have been uneventful was packed full of many memories and interestingly enough, blood. We finally laughed later. 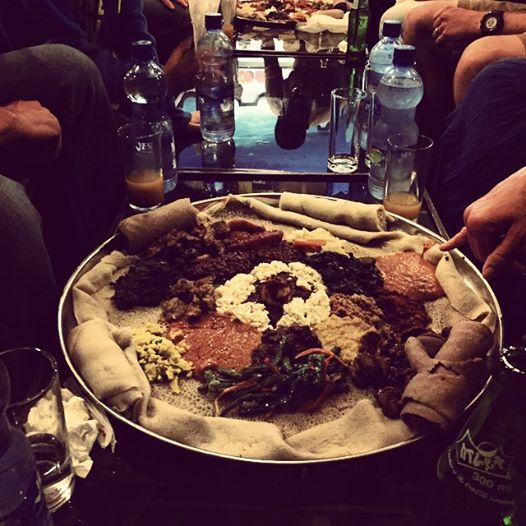 We had a traditional Ethiopian meal to celebrate passing court! After court, we went on a coffee shop tour and then to pick up Yodit Willet! We have quickly learned her routines and are slowly introducing some of ours to her. She is so smart and very strong-willed. Her and Evans are doing great and are loving playing with one another! We found $0.45 cent Ethiopian macchiatos! • Today we headed for Yodits Medical appointment and she was cleared for travel! 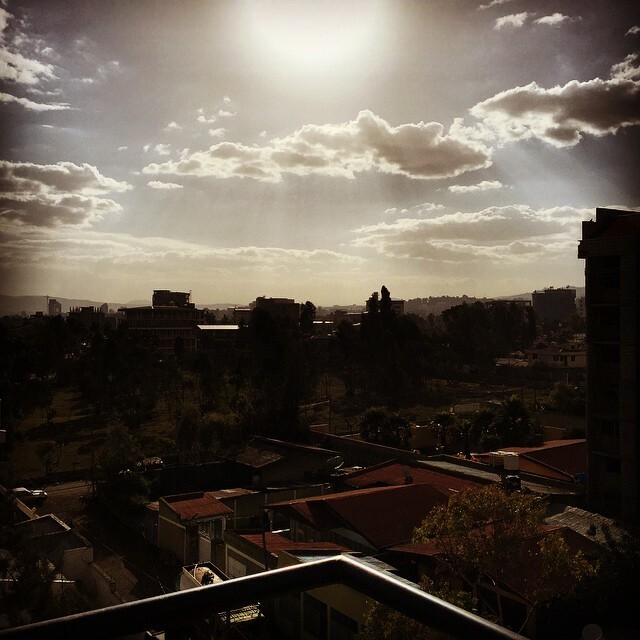 Our view over Addis Ababa from the roof of our guest house. Our case should be submitted to the U.S. embassy for visa approval on Monday! Pray with us as we are very excited to return to the U.S. as a family of four! Thank you all for your continued prayers for our family!